Perfectly matched. When you think about how the world works and how things happen it’s really quite beautiful. I believe we have a destiny or some sort of path we are meant to go on. The odds that these two people would meet when they did and when they lived half a world apart is amazing. They are 100% absolutely perfect for one another. Tiago is from Brazil and Margaret grew up in Boulder. She spent several years in Brazil and met there, they were married in a small ceremony at Red Rocks late in 2013 so Tiago could stay in Colorado, but had their wedding with all their families planned in Aspen where Margaret also spent time. (coming to the blog soon). I met them along with their pup at Chatauqua for an amazing session with sunflowers and lots of sunshine. Colorado at it’s best. 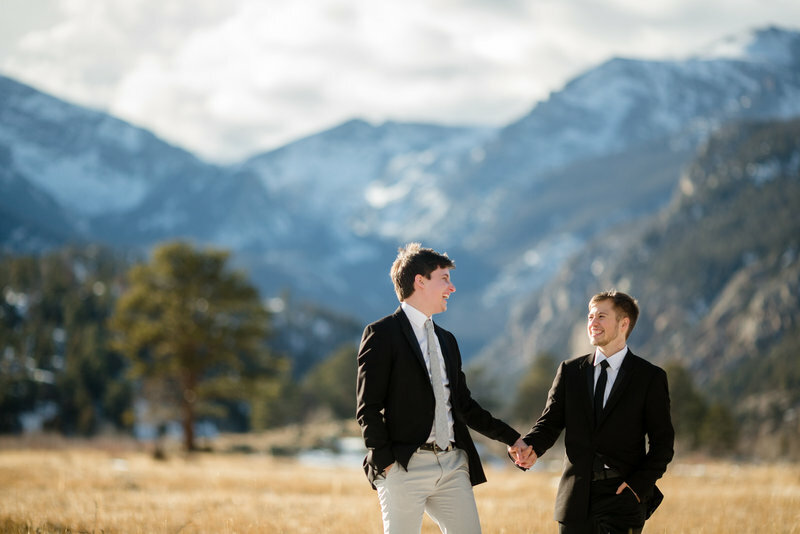 Can’t wait to share their rainy Aspen wedding soon!